Mawa’s Kitchen offers Boutique In-Flight Catering Services in Aspen and the surrounding areas. We are a full service caterer with personalized and professional customer service featuring high quality food based on seasonal, local and organic ingredients. We believe that what we eat influences our health, well-being, and quality of life. With that in mind we offer a selection of the finest organic, locally sourced options for your Aspen catering needs. Mawa’s Kitchen Aspen will help plan your perfect in-flight menu with sophistication and impeccable taste. 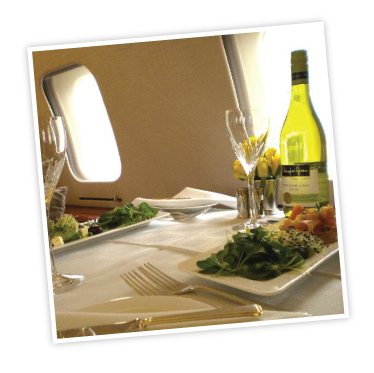 We offer an extensive menu of well balanced and wholesome meals all delivered right to your private jet. All meals can be adapted to suit Vegan, Vegetarian, Gluten-Free, and Dairy Free diets. We serve Aspen-Atlantic Aviation. We are happy to deliver to the following Airports- Vail- Eagle County Airport, Rifle Garfield County Airport and Grand Junction West Star Aviation for an additional charge. Please feel free to make your selection from our extended menu or we can help curate your own menu based on your dietary needs. We are happy to accommodate vegan, vegetarian, gluten-free dietary restrictions. To better serve you, please give us a minimum of 48 hours’ notice for any special request. Our service is designed to take your aviation catering expectations to an entirely new level. Please feel free to make your selection from our extended menu below or we can custom create the perfect menu for you and your guests. Email: daniel@mawaskitchen.com – IMPORTANT: All email orders need to be sent to us 48-72 hours ahead of the delivery time and date. Please use only the email address daniel@mawaskitchen.com to ensure correct routing of your order. Mawa’s Kitchen Team wish you a pleasant flight! All orders must be made via email 24-hours in advance of your delivery day and time. Send your email to orders@mawaskitchen.com • We will respond to your email requests within 4-hours of receipt. Any orders received less than 24-hours in advance of your delivery day and time may be subject to an additional delivery fee. A valid credit is required with every order placed. You can call us Monday through Friday between 8:00 am to 5:00 pm with questions, concerns or comments. A $25 airport and service fee will be applied to all orders. Pricing is determined by availability, ingredients, and preparation time. Menu items are priced per person unless otherwise noted. We deliver to Aspen Atlantic Aviation, Vail-Eagle County Airport, and Rifle Garfield County Airport. A fuel surcharge is applied to all deliveries and will be dependent on mileage and weather conditions. All other locations, the surcharge is between $300 – $500. Orders must be canceled a minimum of 24-hours prior to delivery day and time. A 75% cancellation fee will apply to orders canceled with less than 24-hours notice. Any order placed within 24-hours of delivery day and time cannot be canceled. All Special Orders (items not on the menu) are final and cannot be canceled.